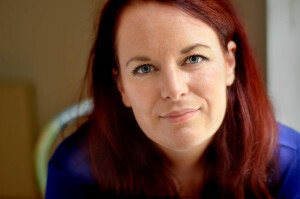 Kirsty Gillmore is a London-based sound designer, sound engineer, voice demo producer and voice actor. She started working as a sound engineer in 2000 in her home country of New Zealand. She has had a diverse career since that start, working across a variety of fields including music, post production, broadcasting, theatre, opera and live sound. Musical since the age of five Kirsty was always part of the choir and orchestras at school. As she grew up, she played around with recording technology using cassette players and her mum’s record player. One of her favourite toys was a Casio PT-1 Synth and Kirsty credit’s this with an endearing love of vintage synths! After secondary school, she applied to study two degrees in music and arts at the University of Auckland in New Zealand because it seemed like the logical choice. At this time. Kirsty wasn’t aware that studying sound engineering was an option until the second year of her degrees. While playing viola in an outdoor production of Macbeth she struck up a conversation with the composer about a gig they had both been to and how it could have been improved by changing the mix. It was the first time she had thought about what went into making that music and sound happen, and it grabbed her. It was around this time that Kirsty decided that she didn’t have the talent to make it as a solo musician and the only other career option that seemed to have a clear path for music graduates was teaching. Kirsty was already teaching and didn’t consider this to be a lifelong career at this stage of her life. Being a sound engineer gave her an entirely different career path and a way of using her musical training without being a musician. After that conversation in the mid-1990s, Kirsty spoke to a lot of sound techs and sound engineers, all had learned on the job by attaching themselves to particular bands. At the time, it was a pretty closed shop, exclusively male, and Kirsty couldn’t see a way in. She started looking into courses when her composer friend suggested a course that a friend of his had done. In the 90’s in New Zealand, there were only two institutions that offered sound engineering courses, so Kirsty applied to the one with the best reputation, the Music and Audio Institution of New Zealand. 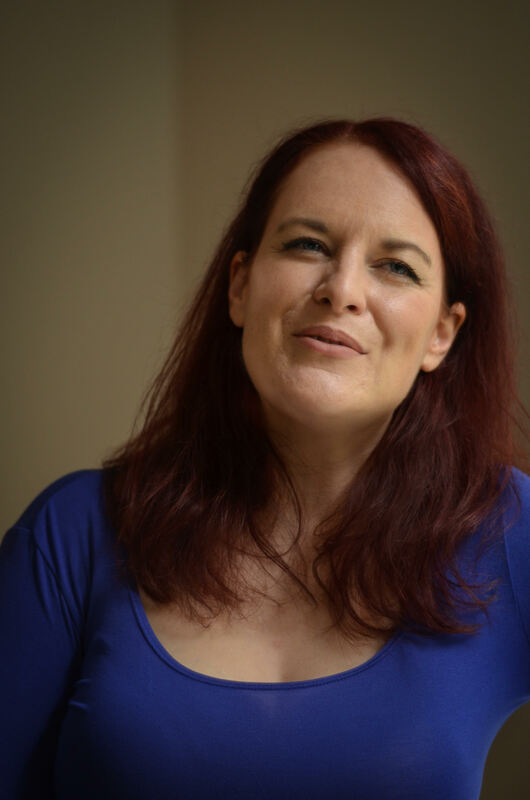 She almost had to decide on studying stage management and technical theatre, as she had been involved with theatre all the way through university, but the only technical theatre course in the country was brand new and didn’t cover sound. She spent two years training as a sound engineer, mostly in music production and also synthesis, live sound, post-production, radio sound, electronics, and sequencing. In her second year, Kirsty did a placement at a post-production studio and was offered a trainee role, which then led to a freelance position. Her first job after graduating from the Music and Audio Institution of New Zealand was as a freelance ADR & Dubbing Engineer at Native Audio in Auckland, New Zealand. One of Kirsty’s jobs as a dubbing engineer was for a series of English-speaking children’s programmes which were dubbed into Maori. At the time in New Zealand, there weren’t many opportunities to work in sound and in 2002 Kirsty made the decision to move to London, UK. She threw herself into the local scene and applied for any audio job she could find and surprised herself by getting a job within the first month as an audio archivist at the British Broadcasting Corporation (BBC). For the next eight years, Kirsty built her experience working in various roles at the BBC where she learned about sound for speech-based radio, TV and online. By 2010 her job had somehow become entirely administrative, and she was pretty unhappy, so when the opportunity for a redundancy came along, Kirsty took it and went back into freelance work. 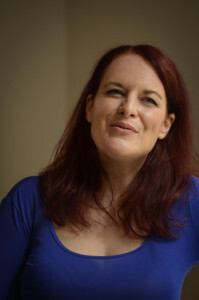 By the end of 2010, Kirsty had set up her company, Sounds Wilde and spent the next year doing various freelance sound jobs in post-production, live sound and theatre before deciding to focus on theatre, voice acting, and voice production. 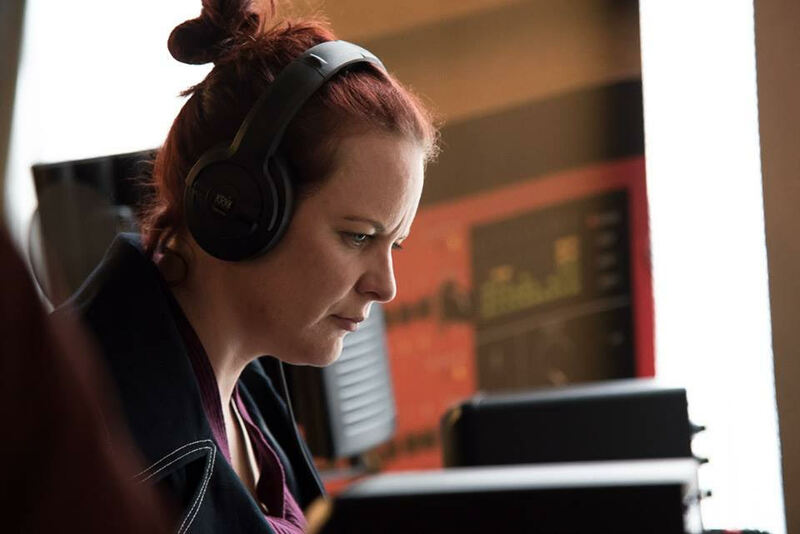 Currently, Kirsty is looking to expand into sound design for games, which works well alongside voice acting work and directing for voice acting. She is also interested in more composition work. Kirsty is a big believer and advocate of educating yourself both formally and with ongoing training. Her initial formal training gave her a solid understanding of the basic concepts and a common language for sound, but she finds that since she has been working in sound, she has consolidated these concepts, and it’s allowed her to build and expand her knowledge. Kirsty says there are topics she covered in her formal training which she only now really understands. In the past few years, Kirsty has done short courses on mixing for musicals, radio production and various aspects of theatre sound. Through the early years of Kirsty’s career, she didn’t have much support, in fact, asking for support was actively discouraged in the jobs she held in the first five or so years of her career. Kirsty found that everyone was just expected to get on with their jobs and learn through mistakes. While Kirsty never had a mentor, (though she would have really loved one) there were people whose work she admired like Nigel Godrich, an English record producer, recording engineer and musician best known for his work with Radiohead, Butch Vig, an American musician and record producer, who is the drummer and co-producer of Garbage and also Sylvia Massy who, at the time was the only female producer, mixer and engineer Kirsty knew of. Massy is recognized for her work on Los Angeles’s alternative metal band Tool. When Kirsty started to specialise in post-production, she found she definitely admired the work and career of Leslie Ann Jones. In her studio, Kirsty has Focal CMS50s as monitors, (which she loves). Kirsty does all her mixing in the box and in doing it this way – she doesn’t need a console. Her main go-to mic for voice overs currently is an AKGC414 and for software, she uses ProTools for most of the recording and mixing she does, Ableton is used for looping and Qlab and Ableton are used for the theatre sound design work. For theatre sound, Kirsty prefers DiGiCo desks (with the theatre sound “T” software) and definitely DPA mics! Kirsty has had her share of discrimination and is a prime example of self-belief and determination to come out the other side. Discussing how she has been accepted in a male dominated field, Kirsty will tell you she has been discriminated against too many times to count. She has had male venue tech managers completely ignore her when she has asked them for details of their setup. These tech managers will direct their answers to her male lighting colleague! She’s had countless rude male band members telling her how to do the job and openly saying that she wouldn’t be able to handle their requirements because she was a female. At a West End venue, a male member of the bar staff came behind the desk to tell her that the EQ settings she had set up were wrong for the vocal mics she was using. (Kirsty tells me he was later fired by the venue as he had a habit of hassling the visiting techs). One of the tutors at sound school told her how difficult it would be for her to get a job because she wasn’t male. Being paid less than male counterparts doing the same job and told that she wouldn’t be considered for a position because she was female. Thankfully, the more experienced Kirsty became, the discrimination issues seem to be fewer. She is not sure if the climate is changing or if her body of work speaks for itself but says it’s nice not to have to deal with it as frequently. Looking at what’s ahead for Kirsty seems pretty exciting. In her studio, Kirsty is looking to invest in more mics. She is interested in what Advanced Audio can offer as alternatives to the Neumann U47 and U87. She is also looking at replacing her soundcard soon and is hoping to trial a Focusrite Claret with Thunderbolt, and the equivalent from Apogee as well. Hopefully, there will be more international opportunities. After years of working in London Kirsty is looking forward to working at least a few months next year in her home country of New Zealand both as a sound designer and sound design tutor. She would also like to expand into game sound design and develop a composition portfolio, as well as taking on more voice over directing opportunities. Kirsty’s message is about being consistent, persistent and open to opportunities. She says “It’s great to have your heart set on a particular career in sound but don’t be put off if that doesn’t pan out at first. Once you know the fundamentals of sound, you can apply them to lots of different career paths as long as you’re willing to learn and take the time to meet people and build relationships. Technical skills are obviously imperative, but it’s your people skills that will get you the job. You’ve got to be prepared to hustle and find the opportunities; the jobs won’t come to you. Don’t be afraid to sell yourself, be proud of your achievements and confident in your skills while being open to learning from others”.